Our DigiPrint™ Mini Tote features our own proprietary 2-ply laminated polyester canvas, and brilliant, high-resolution, indelible dye sublimation printing. Two wide nylon straps provide over-the-shoulder carrying comfort. 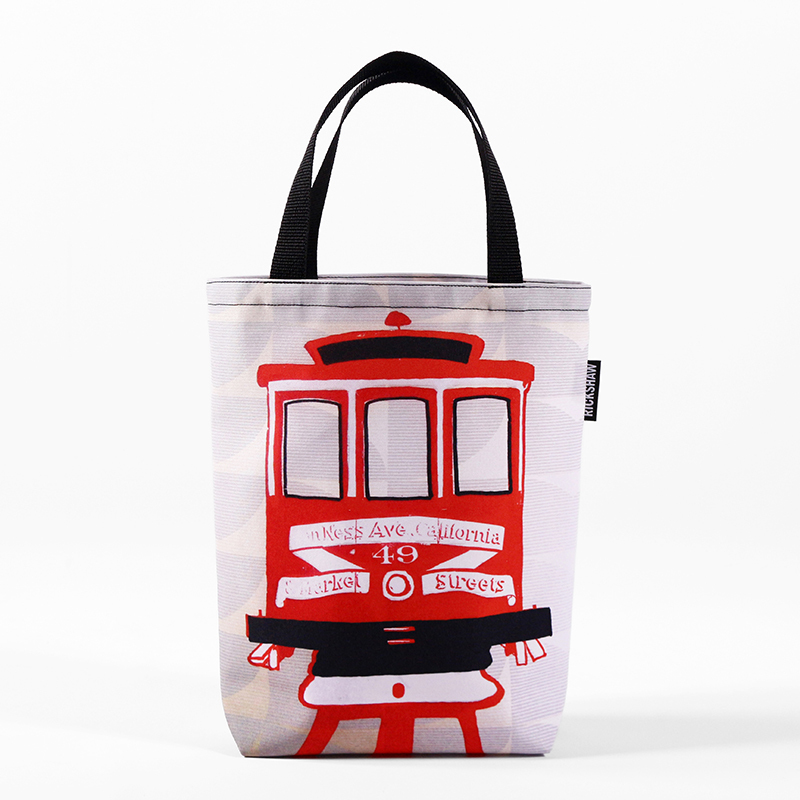 This bag is the miniature version of the popular grocery tote. 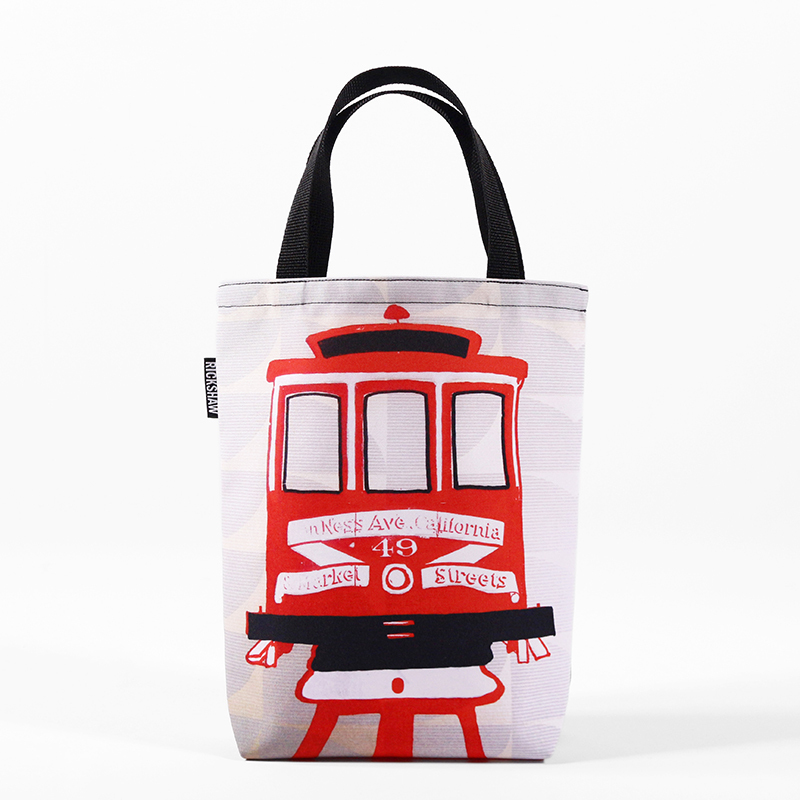 This bag features original artwork by San Francisco artist Jennifer Clifford. 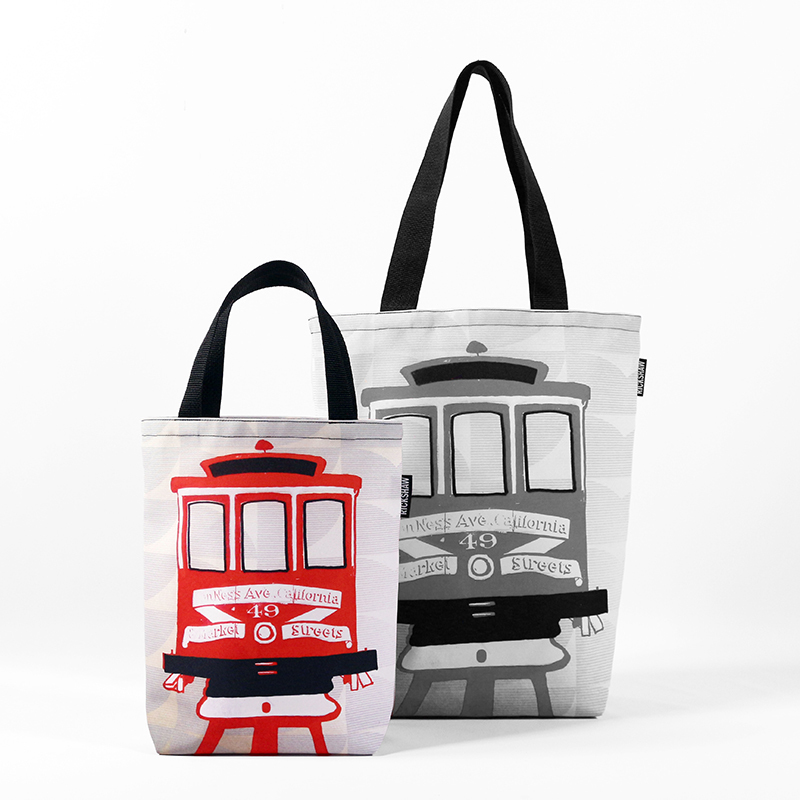 Each bag is printed, cut and sewn right here in San Francisco!